Sit back, relax and allow Hans Christian Asbosen to tell you fantastical stories of far-away lands. Once upon a time there lived ... Hansel and Britney and their trail of Wotsits, Jack and the Weedstalk, Snow White and the Seven Dads and Bling-erella. Not quite as traditional as first glance might suggest, these hilarious reworkings of traditional classics are a wonderfully acerbic look at today's society. 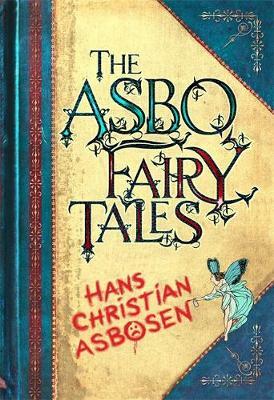 The ASBO Fairy Tales are fantastically packaged to resemble a traditional book of fairy stories, with great comic illustrations of the unique characters. There's Little Red Riding Hoodie, the Crack Piper of Camden, mistakenly enlisted to rid London of its rats, and Sleep-In Beauty, who is cursed with an addiction to fairydust.